I want Real only 2500+ Active SoundCloud Followers within 10 days only $10. All profile have profile picture on it. 100% Followers will stick forever. I order as many times as you delivered perfectly. So, if You can please bid my project. Please reseller are not bid here. 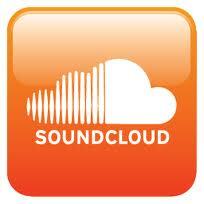 i want to give you 2500++ real active human verified soundcloud follower. it's follower are 100% real & active also come from different soundcloud user & different ip address in the world. no drop, promised, stay in life time. 1000% guarantee work. sir, you can order me without any hesitation. i know there's bunch of seller who created accounts with bot and after few days got banned their accounts. i'll give you 2500 permanent soundcloud follower no drop. all accounts have profile picture. hello sir order me sir, for the best result. i can provide this on soundcloud. if your not happy with services. money back guarenteed.